Having zoomed through the last sixty years, the time has come to talk about the times some of us know very well indeed – the 1980s and the 1990s. It’s hard to believe these are now considered vintage! However, going by the generally accepted guidelines, anything 20 years or older qualifies as vintage. And so here we are… you may now legitimately start saying “back in my day…” The absolute best thing about this, of course, is that you probably remember some of the wedding fashions yourself – perhaps you attended a wedding as a child in the 1980s, or maybe you had an older sister who was getting wed in the 1990s. These are the decades close to our hearts – not to mention the major 90s fashion revival going on as we speak. So pop in that mix tape and let’s have a look! If you haven’t seen the rest of the series, here are the 1920s and the 1930s, the 1940s and the 1950s, and our most recent instalment – 1960s and 1970s. You’d think it would be easy to describe a decade that’s still very much alive when you need guaranteed F-U-N – nowadays, you can have 80s themed hen dos, birthdays, virtually every city has a club featuring a regular 80s night, many radio stations still have an 80s hour somewhere in their schedule… the power of nostalgia is unmissable. Thinking back, everything just seemed… more colourful, bigger, louder, and funner. I mean, we may make fun of the hairstyles today, but if you rocked up to a party dressed to impress AND with a crimped side ponytail, you’d be the star, dahling. You’d be the bees knees. You’d be the coolest kid on the block. And don’t get us started on the music – it was the golden age of pop, the time of the big-hair-metal, and of course, the birth of MTV. Swoon! In the most basic terms, after the gloom of the 1970s, people were ready for big fun. The colour was back in the wardrobes, dancing was back big time, makeup was all kinds of neon, and everyone seemed to jog, do aerobics, or play tennis wearing those fluorescent headbands. Of course, we exaggerate – but not by much, actually. So, how easy would it be to do an 80s-themed wedding? Well easy! Your tunes are pretty much taken care of. Your favours could be anything – even Rubik’s cubes. Retro sweets are so popular now, so you’d have no problem at all with that sweet table. Throw in some posters, top cartoons, mixed tapes, and you’re so ready to go. Of course, you can always ask your friend Google for more inspiration. Every single one of those weddings looks like a blast. For a quick trip down the memory lane, here’s what NME had to say about all the madness. 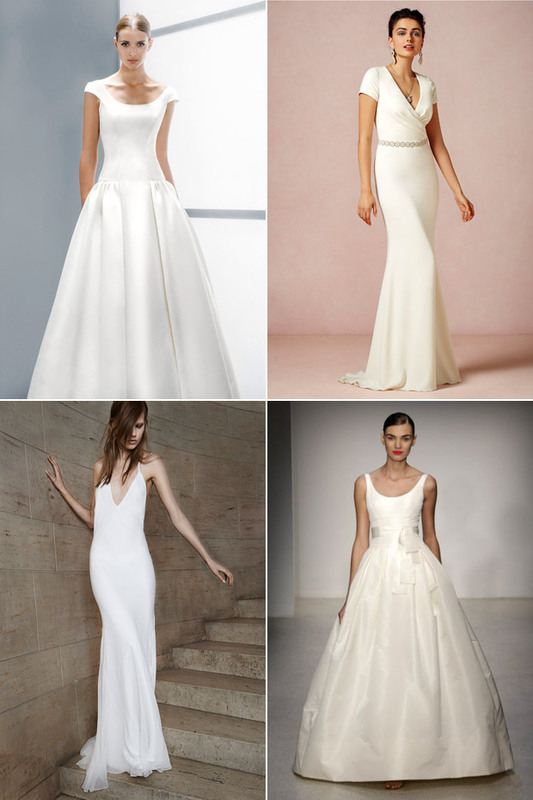 Now, to be perfectly honest, those huge shoulders on wedding dresses didn’t exactly flatter every bride… so it’s no wonder today’s designers tend to stay away from the exaggeration. 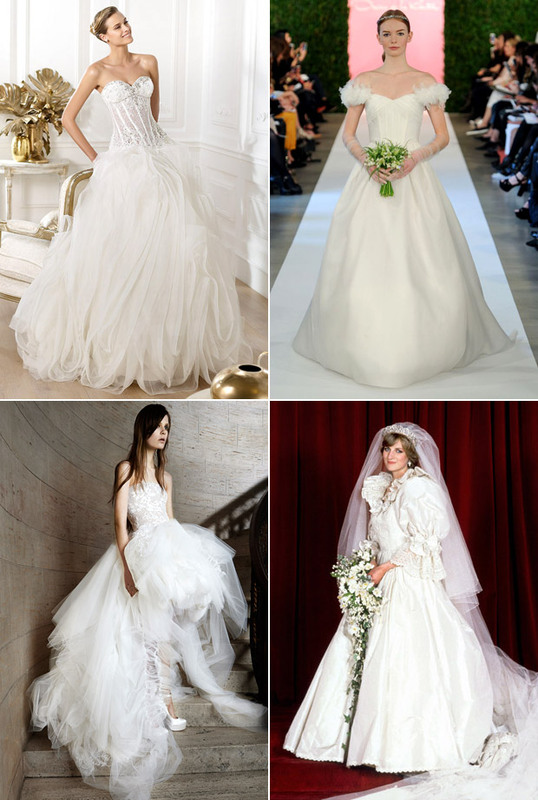 But, the flamboyant skirts and the mermaid shapes are still very much found in many modern collections. Then you have your opulent laces and embellishments. The echos of the 80s are never entirely gone. • big, wide shoulders – if you think they look ridiculous, consider this – they make your waist look TINY. 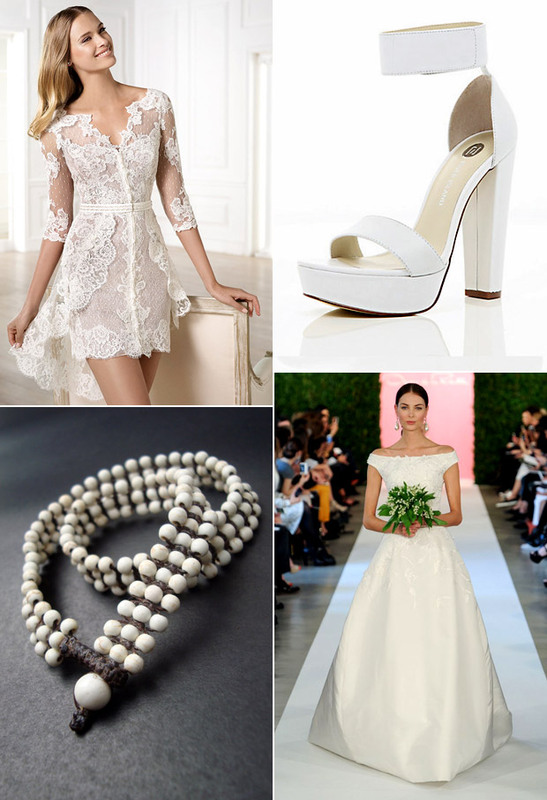 • big wedding dresses – remember Princess Diana’s wedding? That was a quintessential 80s gown. Full, frilled, frothy, huge shoulders, with a long train. Oh yes. Straight hair was seldom seen in the 80s, girls usually had perms or crimped hair. These were done in salons using special tongs – or by home method of arranging hair into dozens of tiny braids until your fingers bled, then soaking them with water, then letting them dry. Hairspray ruled nearly every hairstyle – how else would they stay so big? The styles were helped by as many accessories as possible, including headbands of all kinds, banana clips, scrunchies in all colours of the rainbow, and colourful pins. Scarves were tied around ponytails too. Mullets for the boys… actually, this is the one bit we should really forget. Have you ever seen a man who looked good with a mullet? Neither have we. The ladies’ makeup was dramatic with strong eyes and lips, flawless complexion, blush on the cheeks, and for the evening – eyeshadows galore and even stronger blusher. As this was also the era of fitness, a skin with a glowing tan was in. Truly, not a difficult look to replicate today! The Wedding Singer – this 1998 romantic comedy is really like being there – the clothes, the tunes, the fun! And a rapping grandma. This is Spinal Tap – made in 1984, it’s a famous ridicule of the heavy metal/rock’n’roll lifestyle. If you haven’t seen it, it’s where the phrase “it goes to 11” comes from. A must see. The Breakfast Club – a quintessential 80s teen movie, it was made in 1985, so a true reflection of the times. Back to the Future – part 1 was filmed in 1985, same year as The Breakfast Club, safe to say it was a good year in American cinema! An essential 80s viewing. Wall Street – things turn serious in this 1987 tale of corruption, for which Michael Douglas won a Best Actor Oscar. You could probably tell us quite a few things about the 90s yourselves – and that’s a great thing. At the time of writing, we’re going through a huge 90s revival, especially in fashion. Some would rather not… those jelly shoes weren’t everyone’s cup of tea. For others, floaty skirts paired with Doc Martens are the essence of what looking great was all about (tough yet feminine). The 80s giant-everything had softened, bringing more relaxed styles from the boardroom to the bedroom. Underwear was outerwear. The culture of youth was in, with boy-bands and girl-bands ruling the music, and grunge for those who couldn’t stand the squeaky teens. Twas the age of the supermodel too – Cindy, Naomi, Linda, Kate… Black nail polish, Converse, and hair that did what it wanted. HUGE shows on TV, like Beverly Hills 90210, Melrose Place, Fresh Prince of Bel Air. Brit Pop! The ascent of the internet. Some of us got called ‘slackers’. There were fantastic toys for kids. Truly, this is nostalgia at its best. It’s one of the reasons Buzzfeed.com exists. In fact, we’d love you to tell us what you remember the most about it – so leave us a comment! Two words for you… The Rachel. The defining style of the decade. Short hair had a bit of a thing going on in the 90s, a bit longer at the back of the neck to give it that softer touch. Actually, the fashion for 80s hair took its time to leave, largely gone only by mid-decade. Hair was then straight and soft, natural looking, most likely with fringe. You can see the entire microcosm of the hair world in the Spice Girls – whatever style they wore, it went. For makeup, this was the decade of the smokey eye and paler complexion in comparison to the 1980s. The brows were allowed a more natural look. Mascara was very much in, blusher – not so much. The lips were often dark, even brown, a trend that’s very much present today. At the other end of the spectrum was the no-makeup makeup look, often seen in fashion spreads in various magazines. We think it was lovely – it was the time to let the natural beauty shine, or go a bit darker when going out. Reality Bites – Wynona Ryder and Ethan Hawke in 1994… the movie that broke thousands of hearts, but also made us believe in love. Amélie – made in 2001, it’s the 90s… in Paris. One of the most successful foreign films ever. Even people who couldn’t bear subtitles saw it. We’re loving Audrey’s wardrobe, Audrey’s hair, Audrey’s makeup… we’re loving everything really. Sleepless in Seattle – Tom Hanks is a widower in 1993, and tries his luck at dating with the help of his young son. It’ll have you wishing you lived closer to New York, guaranteed. We’ve had a blast re-living these fashionable decades – we hope you did too! Do you have a favourite? 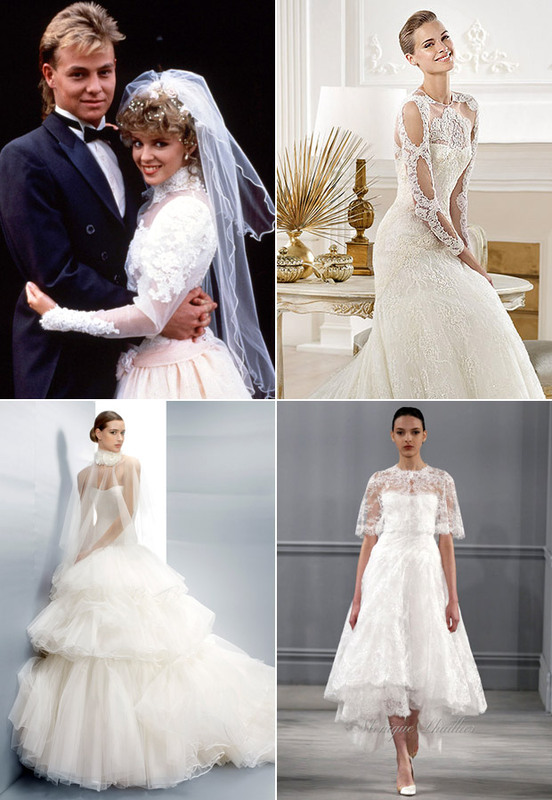 Which vintage era is the one for your dream wedding? Tell us!